Dogs are loving and loyal. When you miss treat your pet they will become aggressive and bite. Make your pet happy. Take care of your dog by brushing, washing, feeding, grooming, playing and walking. Dogs need your love, companionship and attention. If you follow the ideas to help your pet. Their behavior will be calm, relaxed and playful. All dogs are different. If you have an active dog. They need time to run outdoors to keep your pet relaxed at home. If you have a calm dog. It's always good to play with your pet time to time. All dogs need to exercise. It helps your dog fiscally and mentally. When potty training it's a must. Feed your dog twice a day and control their water intake. Remember not to leave food or water out all day. If you don't want to have your dog poop or urine every three to four hours. Keep it out of your dogs reach. Make a routine when you give water and food to your dog. I've got great ways to pamper your dog. Hagen has products to make your pet happy. The Dogit Training pads - 30 pack will help train your dog to potty. 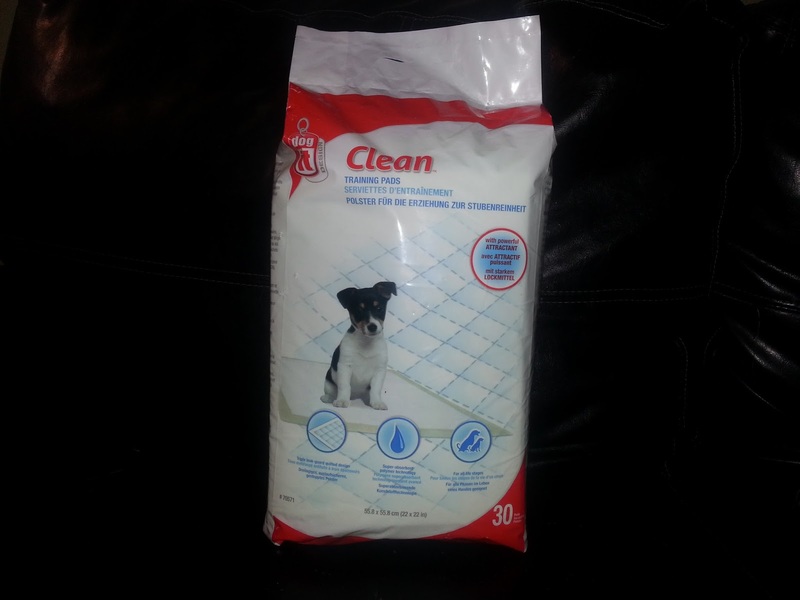 It absorbs your dog's urine and easy to clean up poop. 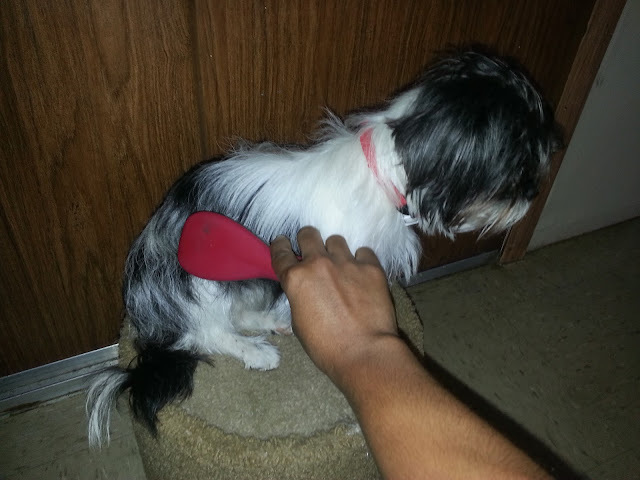 Training your dog to potty depends on you. When you catch your dog doing poop or urine on the floor. You must say no and correct it. Look at your dog and point to the training pads. Tell your dog, "You go potty over there!" Your dog will learn just give it time. You can get these training pads at http://usa.hagen.com and on Amazon. I've been using the training pads on Jinger. She has been using it. I taught her to use it by rewarding her with a treat. Only after she has gone on the pads. Will I offer her a treat and say good girl! I am being consistent in her training and have no problems. If you follow this routine and don't give up. Your dog should be trained in no time. We wanted to find a grooming brush to take the tangles out of my dog's coat. Jinger coat gets tangled if not brushed at least two and three times a week. Her coat color is white/black and looks silky. 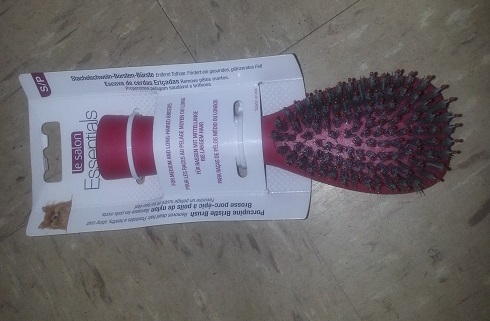 We found her the Le Salon Essentials porcupine bristle brush. The bristles are not hard for her coat. It helps to straighten without pulling it. It works great for her coat and removes dead hair. To get more information on the brush visit http://usa.hagen.com or get it on Amazon. 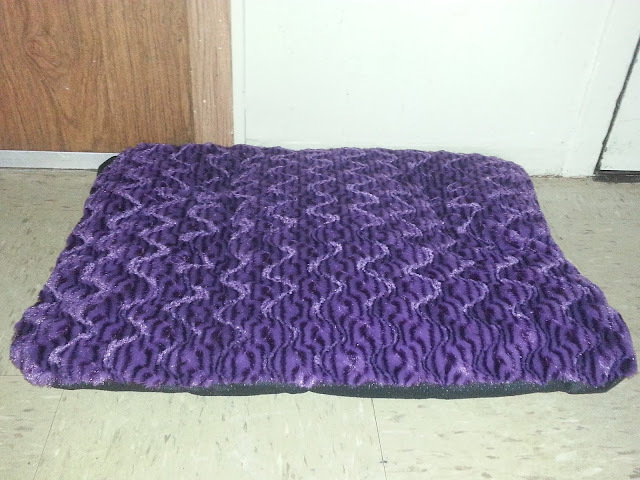 Another item is the Dogit Style Dog Sleeping Mat. It comes available in color purple and grey. The sleeping mat has a soft plush fabric. The purple patterns look stylish and come in different sizes. Best of all! The top mat has a waterproof inner liner to prevent dog leaks and anti-skid bottom. Jinger got on the mat and went around smelling it. This is how she gets comfortable into her new mat and lays down on it. She really likes her sleeping mat. It's easy to open, remove and wash the outer cover. It's nicely stitched and will last her for years. We got the mat a size small - 58.4cm x 45cm x 5cm (23" x 17.8" x 2"). It fits perfect and gives her leg room to lay down, sleep and stretch. Hagen has products to best help your pet. Take a look Hagen's product line at http://usa.hagen.com. You can get all these products on Amazon. Those pads sure come in handy when training a puppy, Consistency is the key. I've been looking for a new grooming brush for Max and this one looks like a good one. We just went through puppy training and those pads were lifesavers. 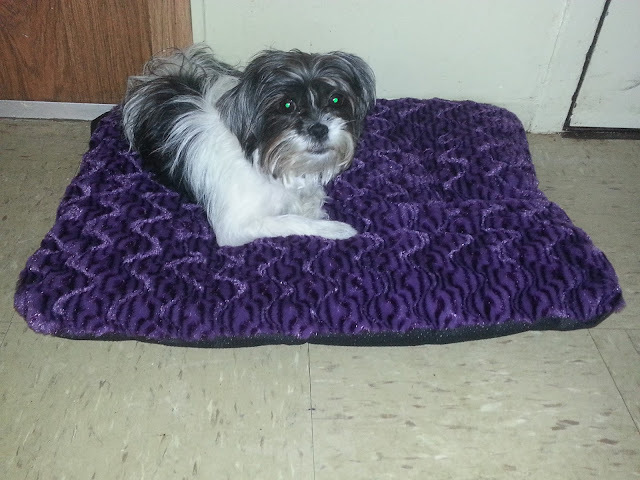 I love that dog mat too it looks comfy! The doggy is so freaking cute. 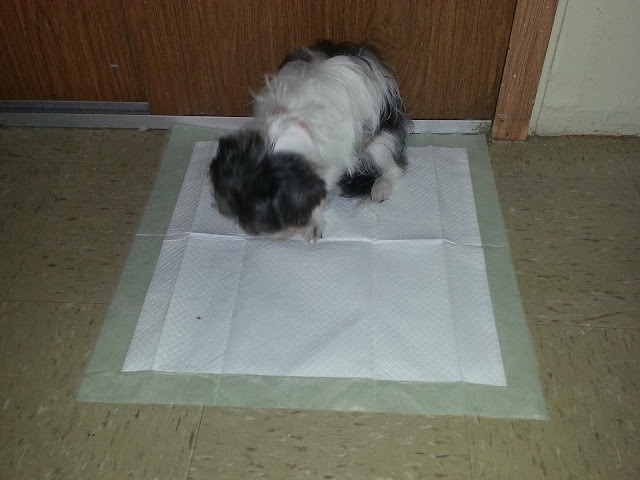 My BFF had a little tiny dog and the dog was training to use the pee pee pads. I didn't even know that was a thing but I thought it was cool. I'm out of the pet loop big time. They have all kind of cool things. I love that dog mat -- I think every pet should have their very own place to lay down and relax. They need their own space every once in awhile too! I have never use the puppy pads but I do love those pillows. I like the dog is a place to lay so that my couch does not get off early. Although I will say I cheated and let them on the couch a lot too LOL. I have never used puppy pads with any of my dogs, but I have friends that had good luck with them. The dog bed looks really comfy-we used a crib mattress for our dogs but our smallest dog weighs 65lbs. We don't have a dog yet, but the kids have been wanting to get a puppy for a while now. I think we'll surprise them with one soon! I'll share this post with a friend who has a dog! Ahhhhhh when I had my doggie we used puppy pads with her. She was impossible to house train and those things helped a lot! I don't have a dog but we have had two in the past. I wish I'd thought to use the training pads with the puppy! I don't have a dog yet, but we are thinking about getting one! THanks for sharing this , I will keep this in mind for when we do! What a good idea for a pup! We had three dogs at one point, and now we have just one. They are such a part of our family. Awww Jinger is soo cute. Looks like some really great products for pets. I need those pads in my house for my doggies. These pads look like the perfect way to help out! The pet bed looks so comfy for Jinger! How is she doing with the pad training? I'm sure she's doing well! Hagen sure has a lot of items. It also looks to me that Jinger really love the new mat! What a sweet fur baby you have. I love to pamper my pets as well, Hagen products sound pretty awesome. I need to check them out. That pad looks comfy. 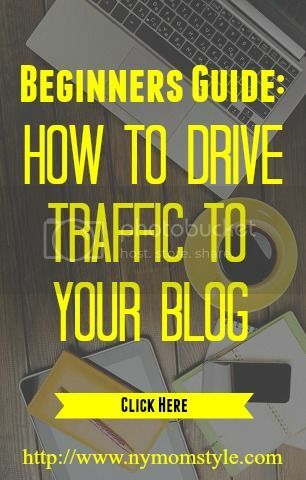 I will keep these tips in mind.